The new XUV 700 was first presented at 2018 Auto Expo and has since been spied testing in the country as well. 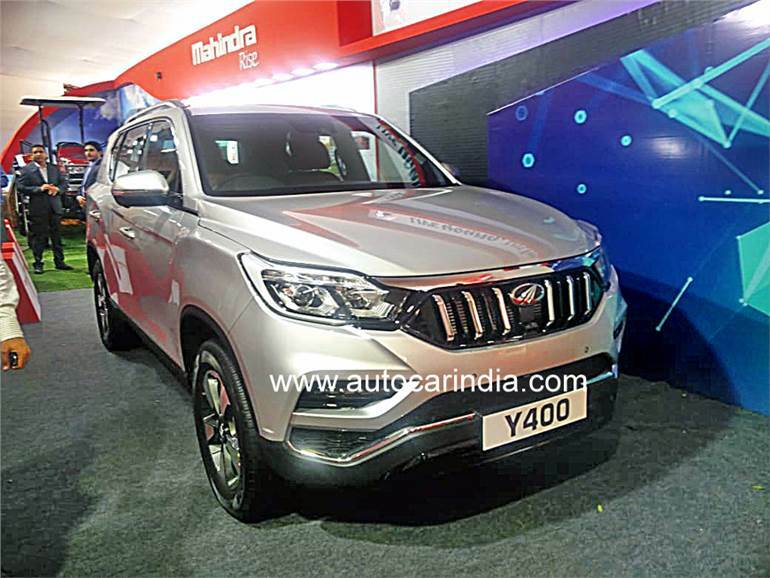 The model on display and the spy images show that the SUV sports changes to the grille and other subtle design tweaks, which bring it more in line with Mahindra’s design language. The new xuv 700 will get an updated feature list and will be equipped with projector headlamps, a 9.2-inch HD touchscreen with Android Auto and Apple CarPlay, a 360-degree camera, a 7.0-inch LCD instrument cluster, cooled seats, Nappa leather upholstery and a smart tailgate . it will be powered by a 2.2-litre, four-cylinder, turbo-diesel engine that produces 187hp and 420Nm of peak torque. Power is sent to the rear wheels via a seven-speed torque converter automatic transmission, though all-wheel-drive will be on offer with higher-spec variants. Estimated prices for the new XUV 700 are expected to begin at Rs 24 lakh which will go against the D-segments SUVs such as the Toyota Fortuner and the Ford Endeavour .